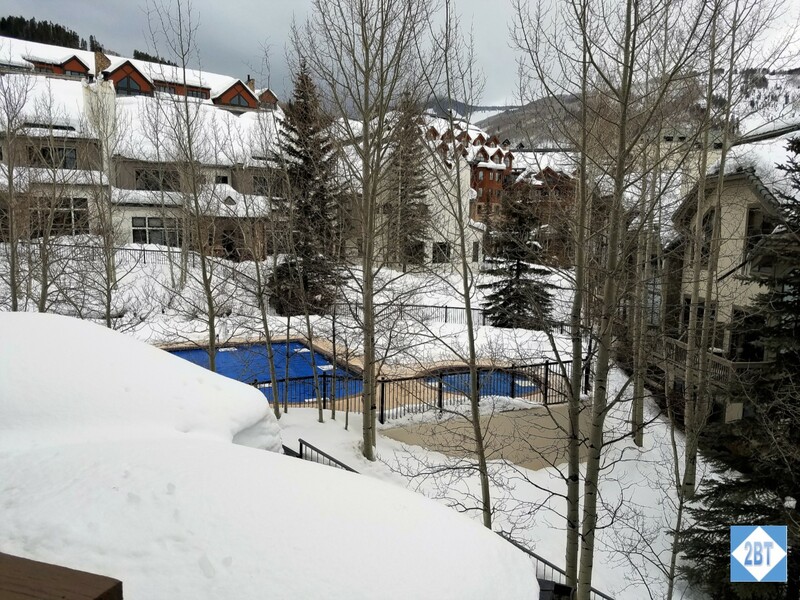 The Highlands Lodge has become the go-place for our ski group to stay when in Beaver Creek. 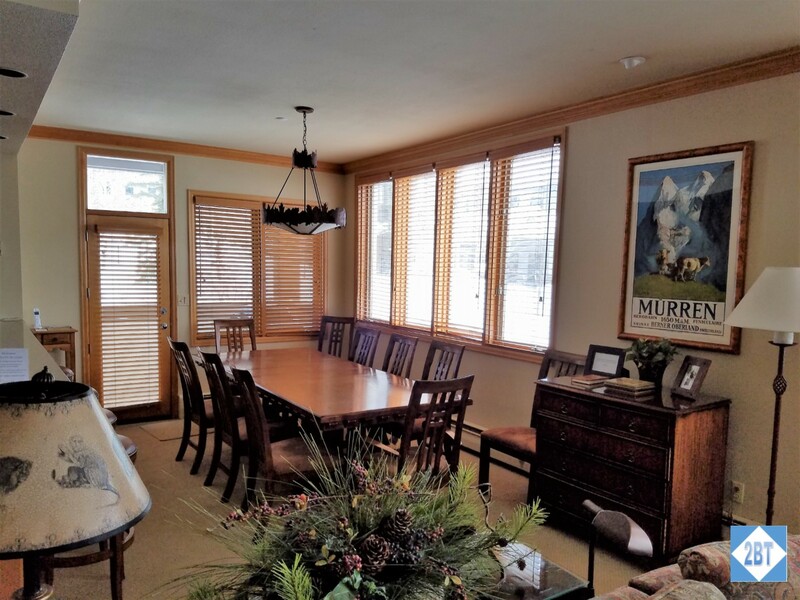 We had five units inside the Lodge, which is the building where the reception desk is located. 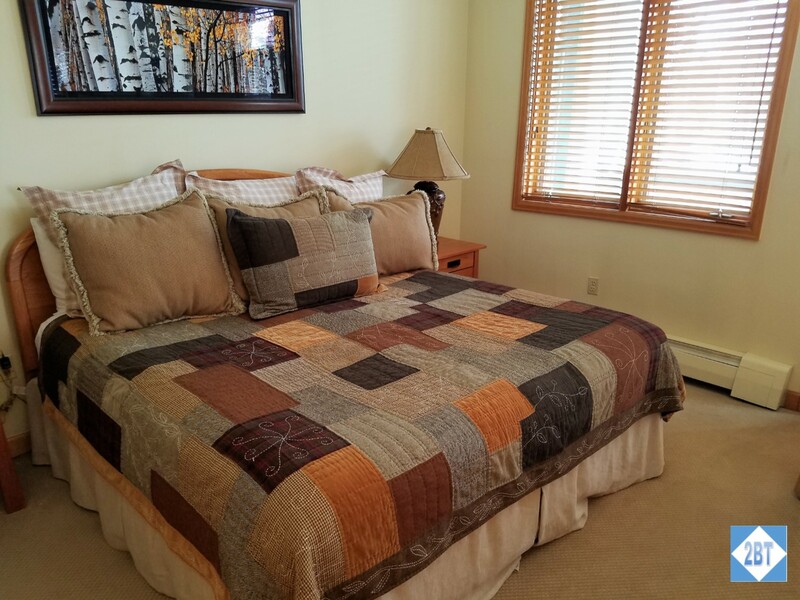 As each unit is independently-owned the furnishings are all different but all of our units were 3BR with at least 3 baths. 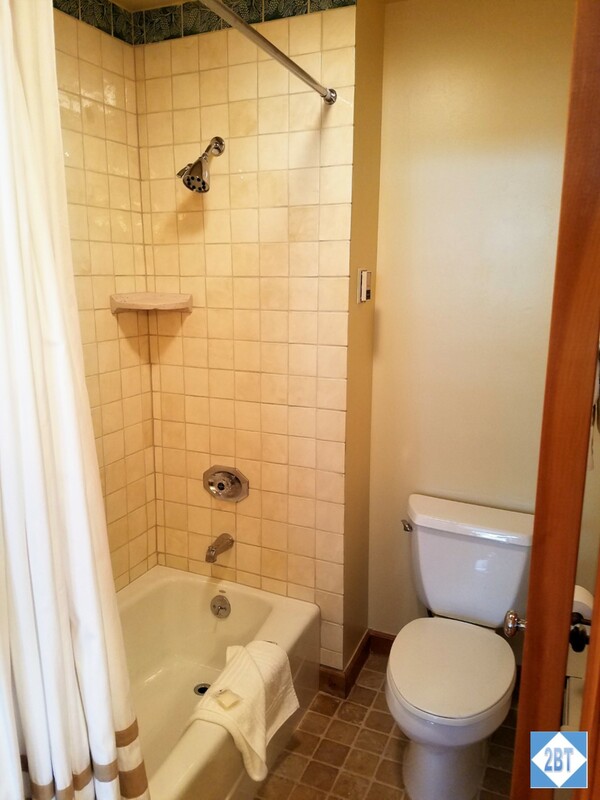 My unit was at the end of the hall and actually had a 4th bathroom off the living room, presumably in case the pull-out sofa was used. The master bedroom has a king bed and a door to the back balcony (there’s another balcony door off the dining area). 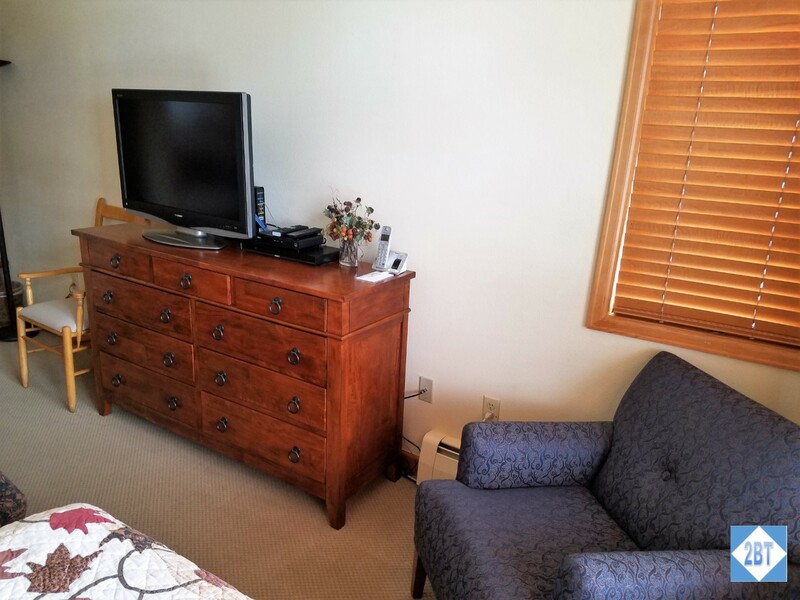 Other furniture in the master bedroom. 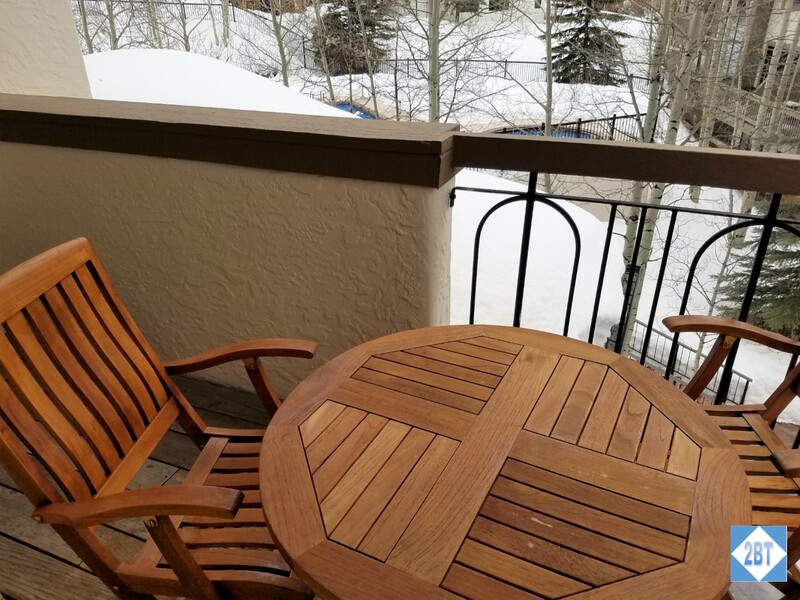 The chair is in front of the balcony door. 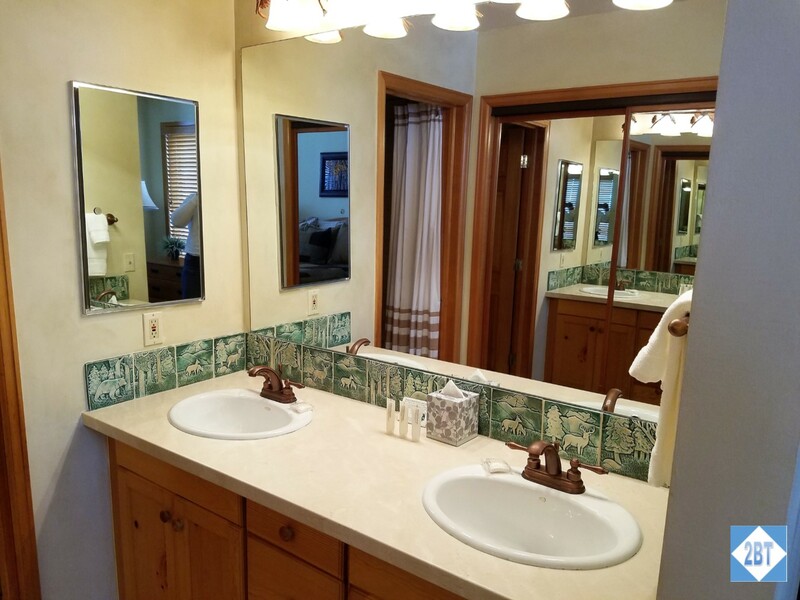 The master bath had a shower stall and a double vanity. 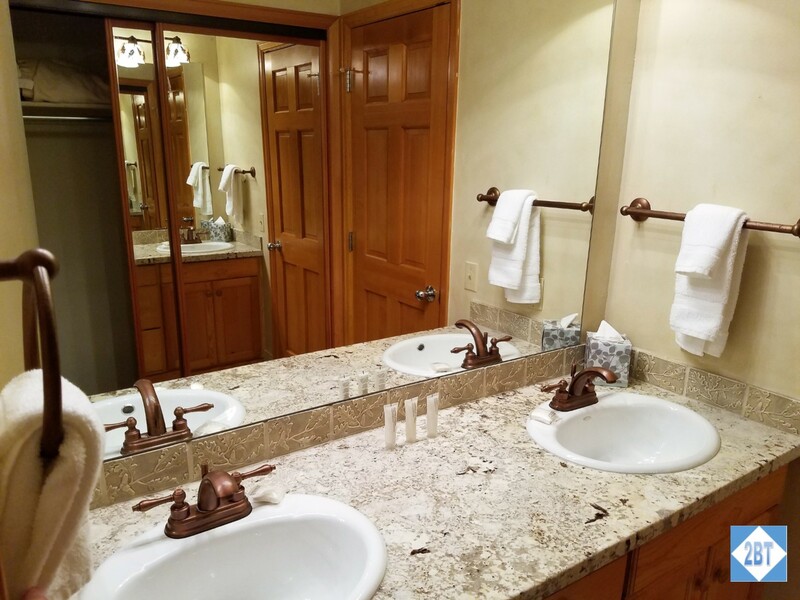 Sinks in the master bath. The closet with glass doors is directly behind it. 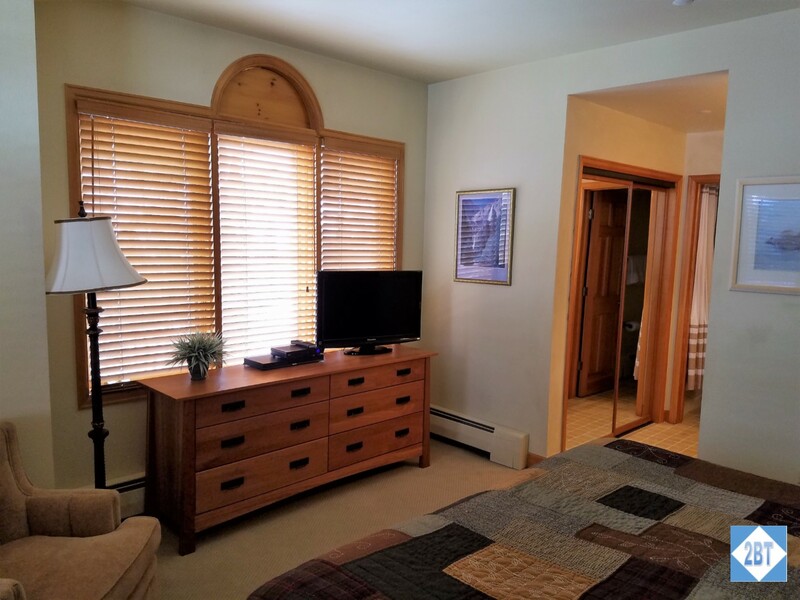 The second bedroom also has a king bed and its own bath. It also has a small balcony that has another door off the living area. King bed in the 2nd bedroom. 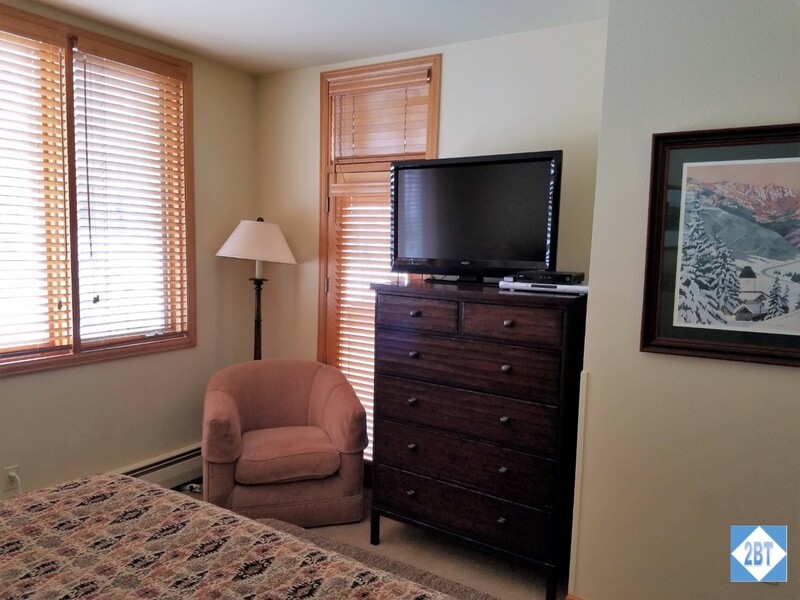 The wall behind the bed is shared with the living room and is right behind the TV. The TV’s sound carries into the room quite well which can be problematic if someone is trying to sleep. The en suite had a double vanity that opened into the room with the closet just behind. 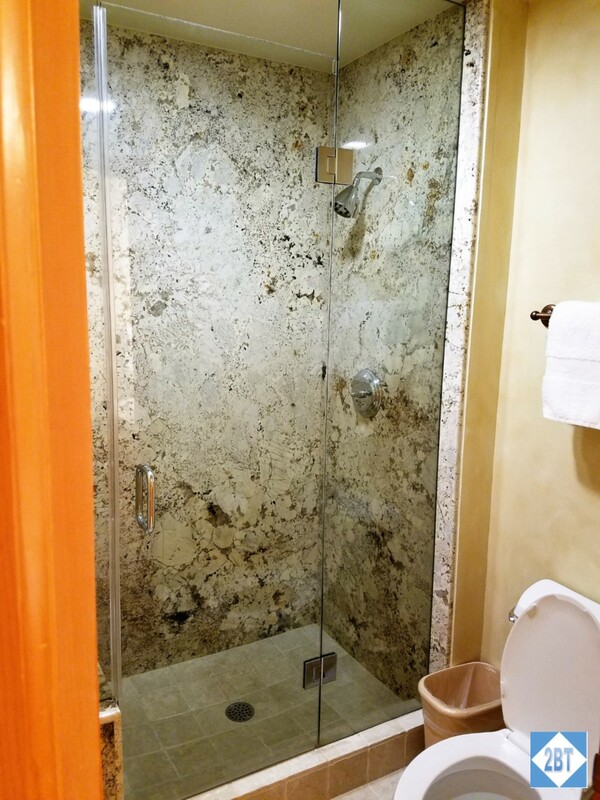 The bathroom has a shower/tub combo. 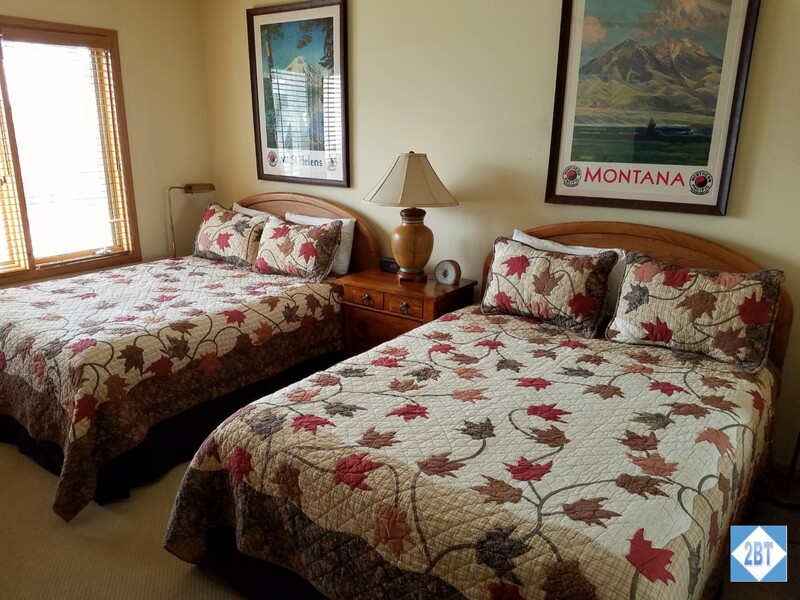 While some of the smaller 3BR units had twin beds in one bedroom, our 3rd bedroom could be locked off like a hotel room and it had two double beds, which was terrific. Bedding in the 3rd bedroom. 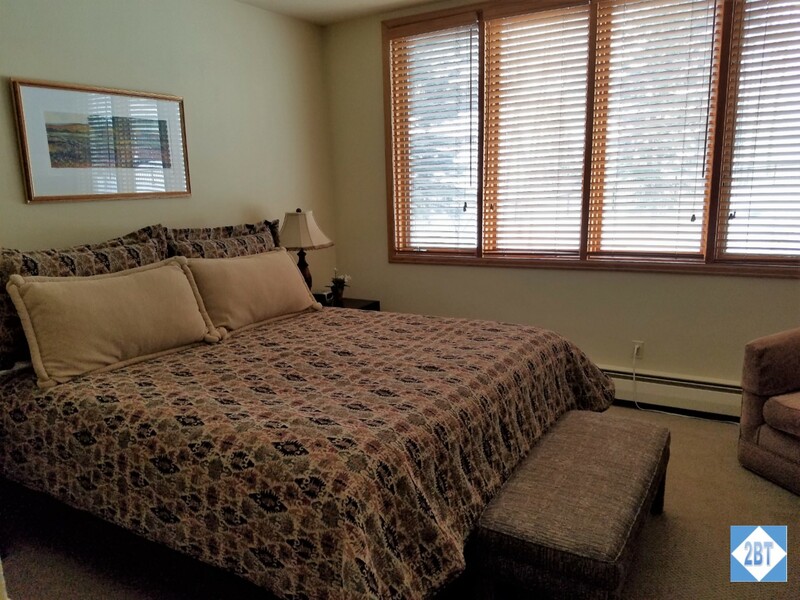 There is a closet beside the bed on the right. Other furnishing in the 3rd bedroom. 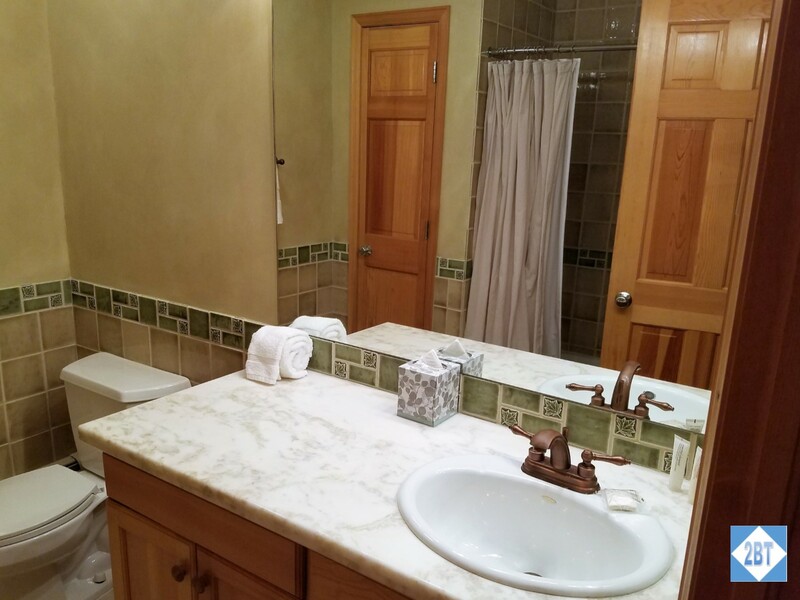 The bathroom for this bedroom was quite spacious and it even had a linen closet. I found it puzzling that with all the space, there was only one sink. As this room could actually sleep 4, it seems to me it would make more sense for this room to have the double sinks vs. the other bedrooms. There was also a shower/tub combo in this room. 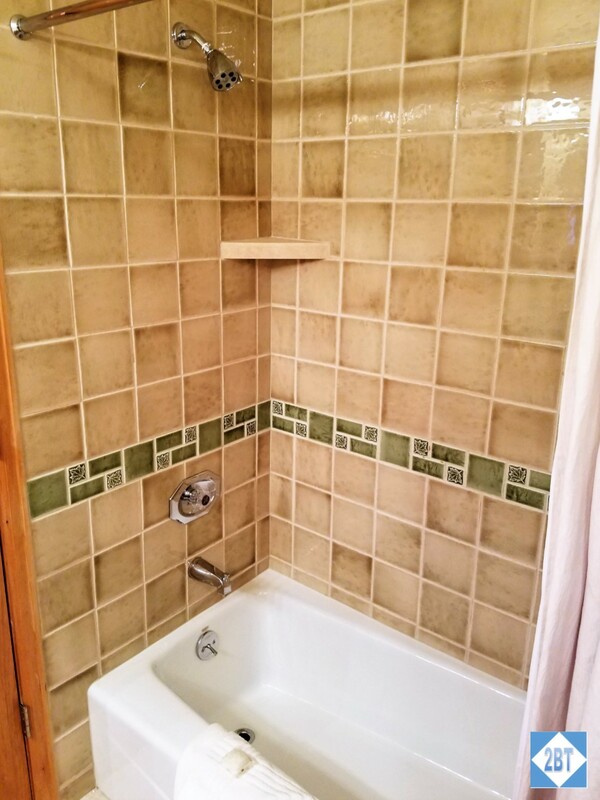 I liked the small shelf we could use for toiletries in addition to the corners of the tub. Toiletries were provided. I liked the scent but some did not. The kitchens in most of the units were quite small, more of a nook than a full-scale kitchen. The unit at the end of the building has a kitchen that’s about double the size – meaning two people can stand in it without it feeling crowded. 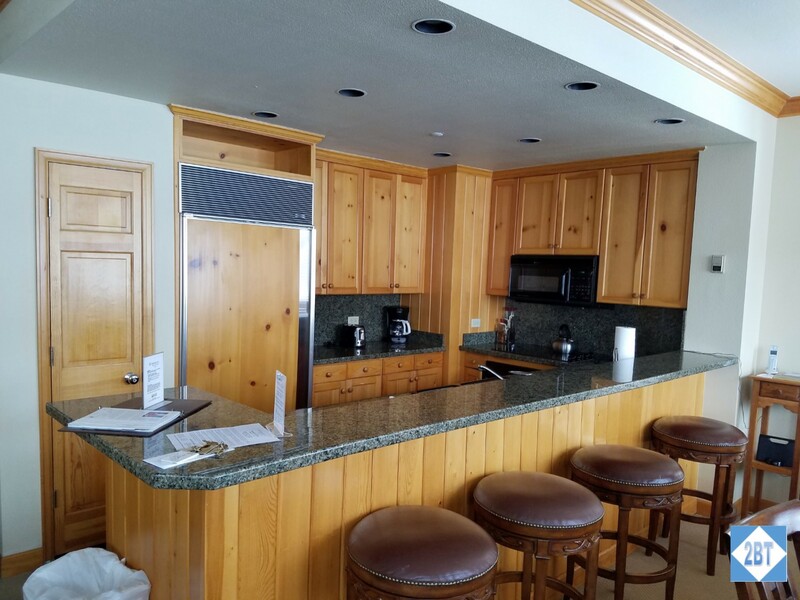 All the kitchens had a bar counter along the edge and a dining table that would seat the max occupancy of the unit. The dining table can seat ten people. While the large, heavy chairs look great, they’re hard to maneuver. The living area had a huge sectional sofa which included a pull-out bed. There were also two comfy chairs in the seating group. Even when everyone in our condo was watching TV we never felt crowded on that giant sofa. The bathroom off the living room has a shower stall and a closet with a stackable washer and dryer, which we put to good use. Each afternoon we’d don the provided terry cloth robes and go down to the first floor and outside to the hot tub. There were always plenty of towels in the locker rooms though the larger blue-and-white-striped towels seemed to be in high demand and always were taken quickly. There are three hot tubs as well as a heated pool and it was a great place to ease our muscles at the end of the day. 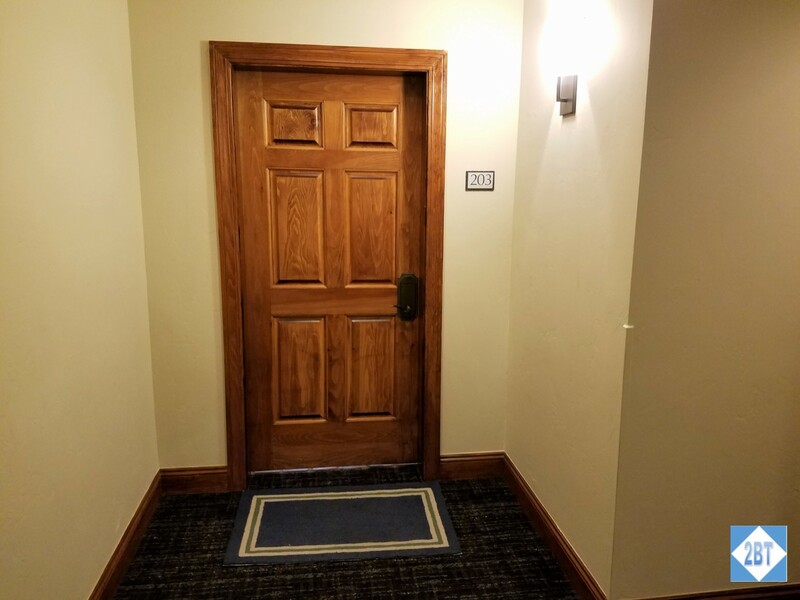 There is no exercise room in Highlands Lodge. That was a bit of a disappointment as I like to do a bit of walking just to warm up my legs before hitting the slopes each day. I made do with walking up and down the halls. Our group stayed for a week and as such were only eligible for housekeeping once, mid-week. I was a bit surprised that we did not get it at least twice as many resorts we visit have daily housekeeping. 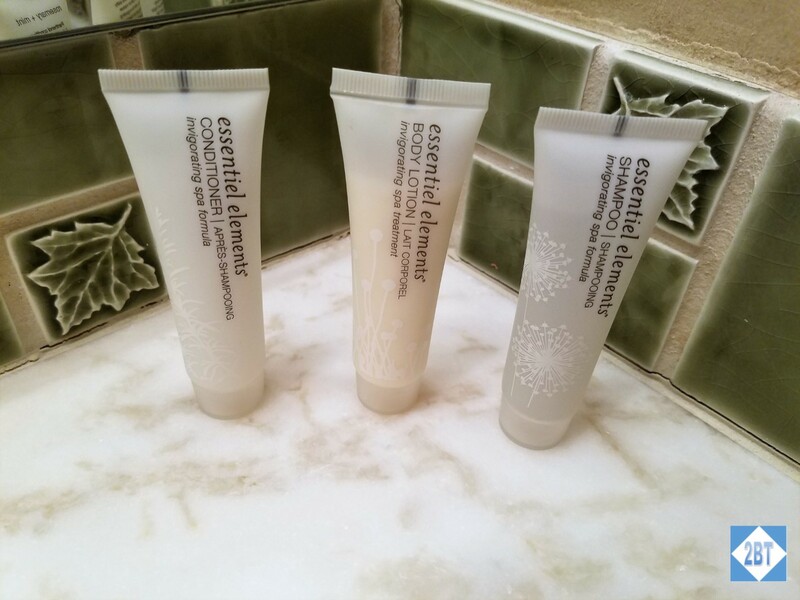 Our toiletries were not refreshed though we were able to get some more from the front desk. 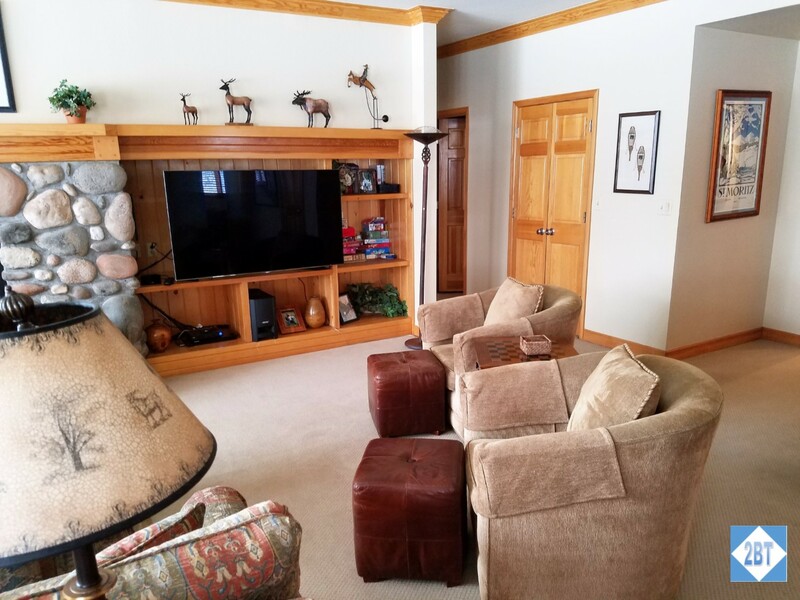 On the second floor is the ski locker room and from there it’s just a few short steps to the slopes. Highlands Lodge is located at the far left side of the Beaver Creek trail map and once your skis are on it’s a short downhill trail to the base of the Centennial lift. 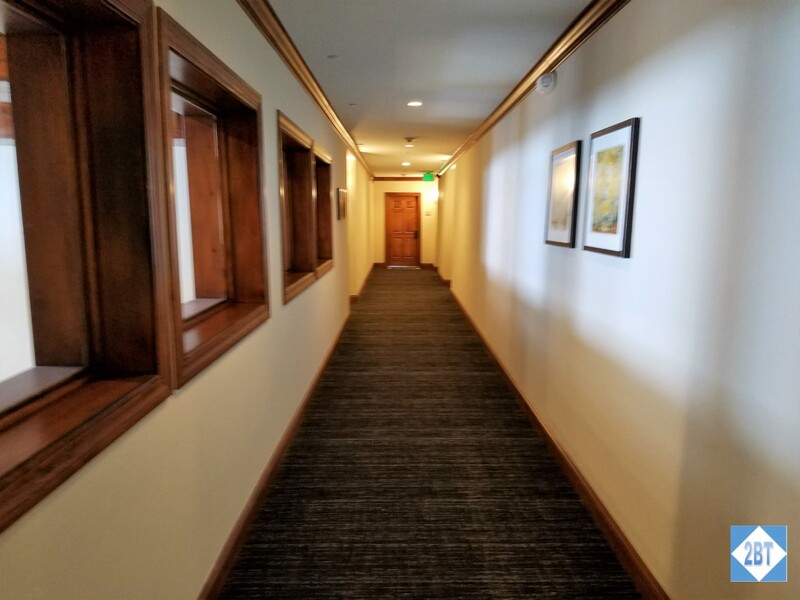 At the end of the day, if you’ve been on the west side of the resort you can take Latigo to Gold Dust, hang a right on Cinch and either follow that down or turn on Assay which will take you to the back door. If you’ve ended your day on the east side of the resort, you can catch the Buckaroo Gondola and ski down from there. 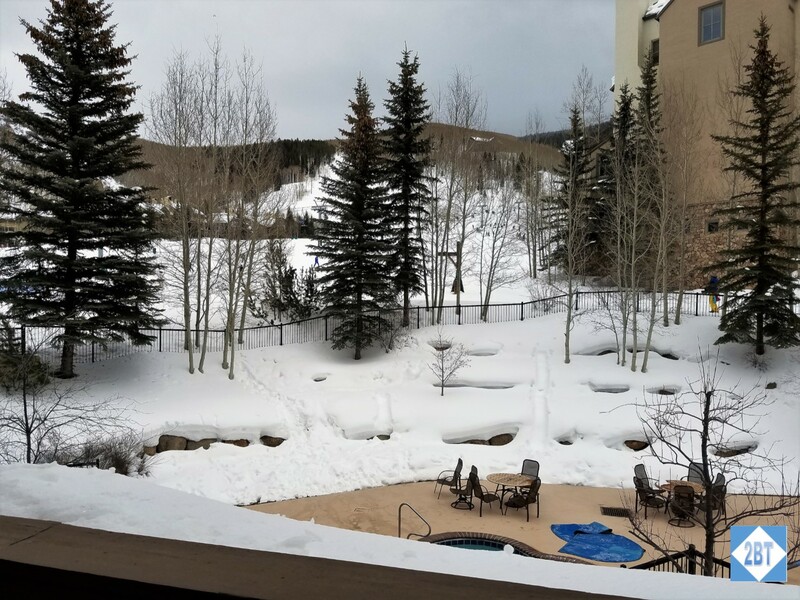 View of the slopes from the back balcony. The exit by the ski locker room is just to the left. To reach the main lifts just ski right along the fence, where the person is walking. 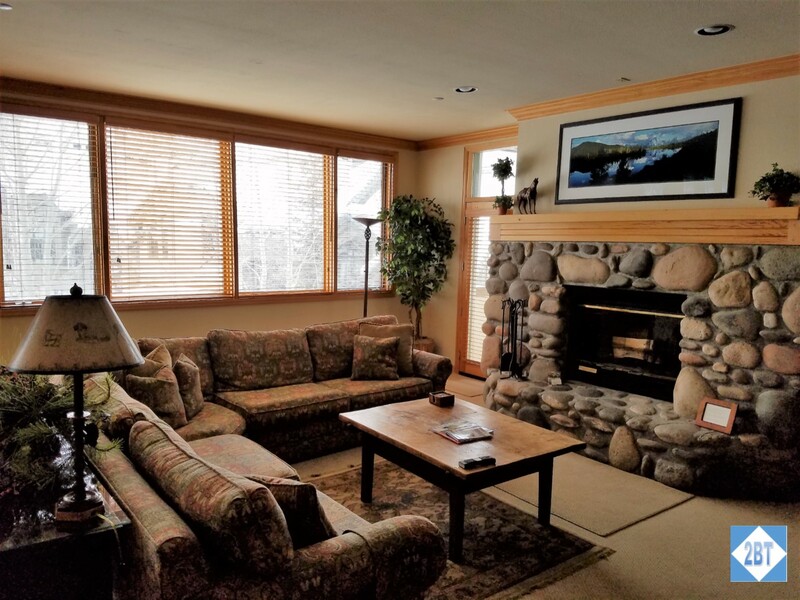 There are no restaurants in near proximity but the area shuttle bus stops regularly at the Lodge and on-request after its normal operating hours. 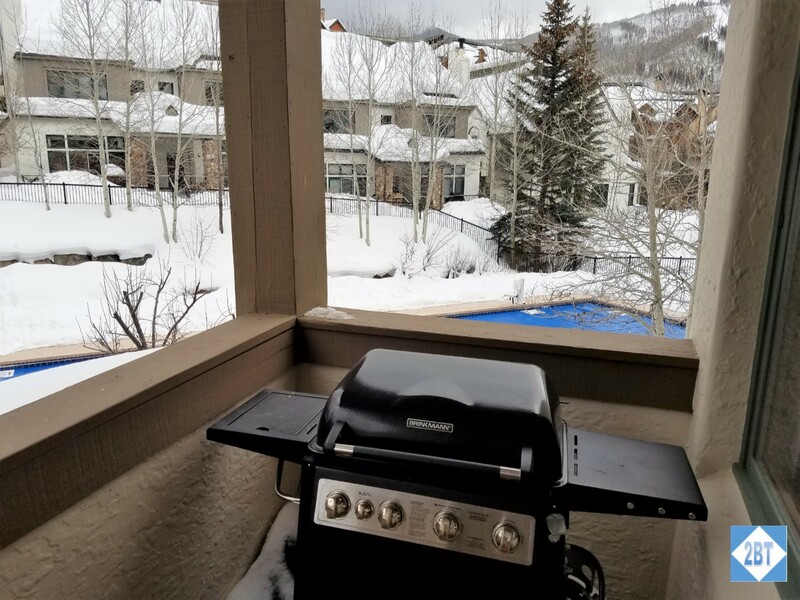 This is the third straight trip our club has stayed at Highlands properties and I’m sure we’ll be staying here the next time we return to Beaver Creek.